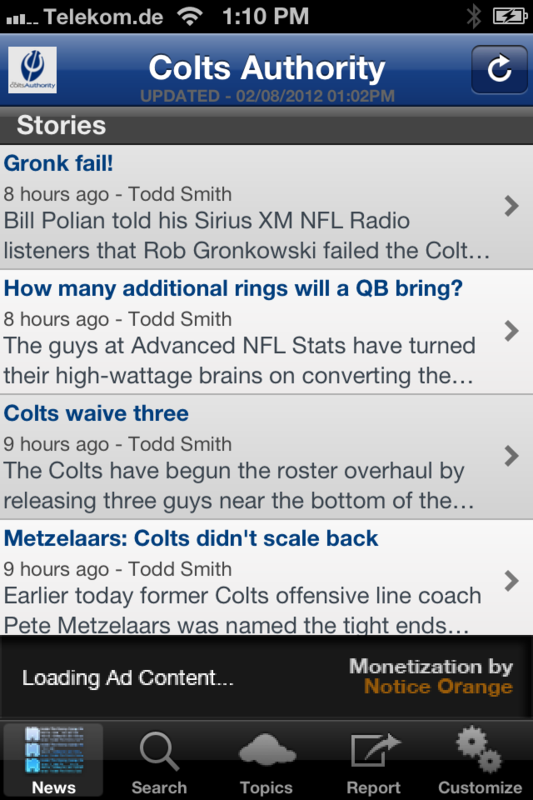 - Email your friends the Colts news you find interesting. - Tweet up a storm about your favorite Colts Authority posts. - Read stories from around the Bloguin network. -Bug fixes for latest iOS devices.